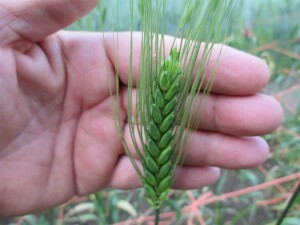 This is a very fascinating variety of wheat! 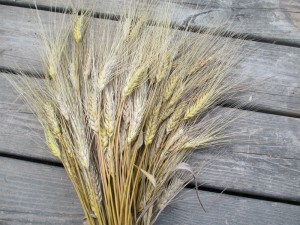 It produces golden brown, large, grain heads. The actual grain kernels (blond) were some of the largest I have grown here in Indiana. 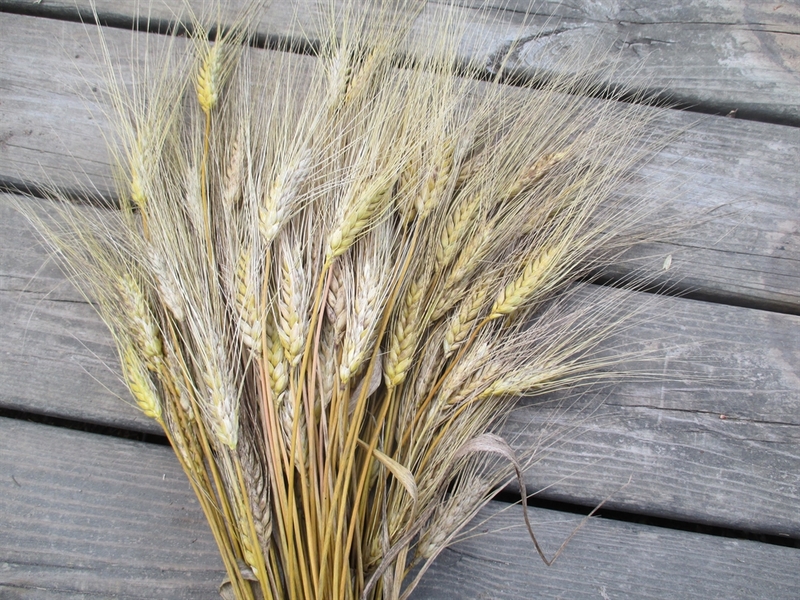 It is a rare Asian landrace (possibly from China), considered a natural cross between bread wheat (T. aestivum) and polish wheat (T. polonicum). This variety did well for me spring planted with few disease issues. It did have some lodging problems during periods of heavy rains at the end of June. 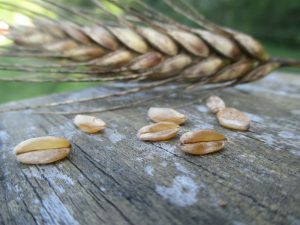 I am planting out as a winter wheat for the 2017 season. Update for 2017 This variety did not survive the winter as a fall planted crop here in northern Indiana.